Sun Pharma Top Performer On Sensex - Nifty Shares of Sun Pharmaceutical Industries Ltd. was the top performer on Sensex and Nifty. The stock rose as much as 3.2 per cent to Rs 430. The drugmaker’s U.S. subsidiary, Taro Pharma reported its quarterly results for the three months ended December. 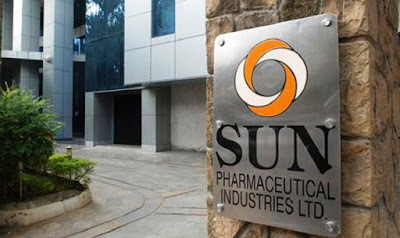 At 09:18 hrs Sun Pharmaceutical Industries was quoting at Rs 425.95, up Rs 10.55, or 2.54 per cent, on the BSE. Infosys hits record high;- The stock breaks above resistance at Rs 759.8, the 50 per cent Fibonacci projection level of the uptrend from August 22, 2017 low to October 1, 2018 high. The stock was trading up 15.18 per cent this year as of the last close, compared with the broader NSE index's 0.66 per cent gains in the same period. Rupee Update: Indian rupee is trading lower by 10 paise at 71.65 per dollar against previous close 71.55 per dollar.